Wednesday, August 22nd at 2:30pm EST | Presented by Ron Callis, Jr.
Online reviews are one of the most effective marketing strategies technology integrators can use to gain new customers and grow their businesses. 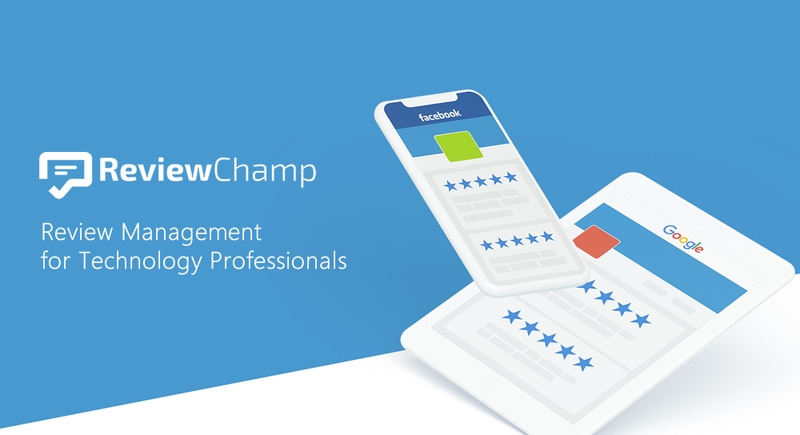 That's exactly why we launched Review Champ - an innovative online review management platform that helps you get more positive reviews while filtering out negative reviews. In this webinar, Ron Callis gives a ProSource members an exclusive look at Review Champ. Miss one of our live webinars? No worries, we have archived all our recorded sessions, and they are now available for viewing. You can still access all our previously recorded sessions below. Dive into any topic you wish and gain valuable insights into new products, online presence, and marketing strategies that will help your business grow. Recorded On: Thursday, July 26, 2018 - 1PM EST | Presented by Ron Callis, Jr. Recorded On: Tuesday, Feb 14, 2017 - 1PM EST | Presented by Ron Callis, Jr.
Join One Firefly for an up-close and personal look at our two newest products: Smart Layouts, Lead Concierge & UI University. Demos of both products will be given, followed by a Q&A session. Recorded On: Wednesday, Feb 15, 2017- 1PM EST | Presented by Ron Callis, Jr.
30 minute demo of Mercury Collection, our award winning website solution developed to validate your credibility with referrals and get you leads. These fully-loaded, sleek websites are packed with rich and engaging content focused on lifestyle and end-user experience. Recorded On: Thursday, Feb 16, 2017 -1PM EST | Presented by Ron Callis, Jr.
CM2.0 sets the new standard for marketing in the digital era. Learn how "CM2.0" gets you found online by the types of customers you want. See key product features and examples of how it has helped integrators increase website traffic and generate new sales leads. Gain full access to our previously recorded library of Webinars. Just submit your information below.